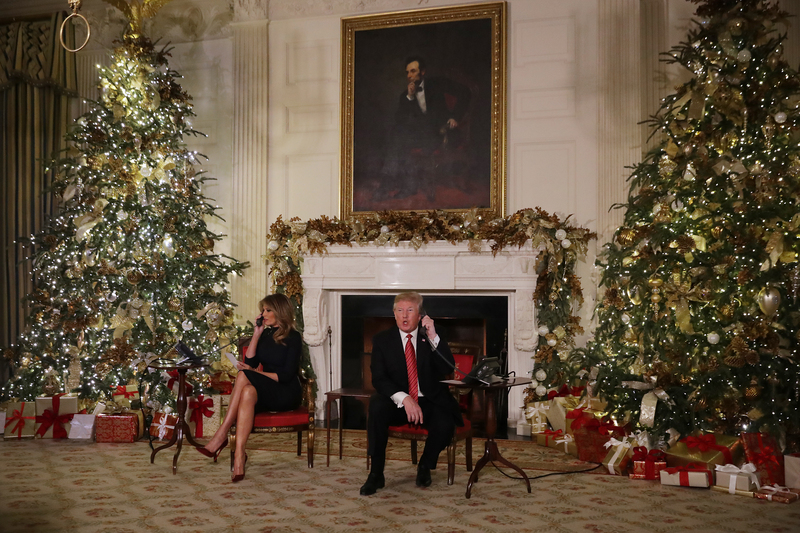 President Donald Trump asked a 7-year-old girl who called the NORAD Santa tracking hotline if she still believed in the mythical figure, during an annual Christmas Eve presidential tradition Monday night. “Hello, is this Collman? Merry Christmas. How are you? How old are you … Are you doing well in school? Are you still a believer in Santa? ‘Cause at 7, it’s marginal right,” Trump said during the full course of the phone call. The president took other phone calls from children who were randomly selected to speak with him and the first lady during the event. Trump’s participation marks the 63rd year that NORAD (North American Aerospace Defense Command) has participated in the Santa tracking event, which provides updates to children of Santa’s movements from the North Pole. Editor’s note: The article at first incorrectly referred to Collman as a boy when she is, in fact, a girl. The wording has been changed to reflect this.